Rezidence Vítkova offers non-smoking rooms with free Wi-Fi, a 24-hour front desk and snack vending machines. 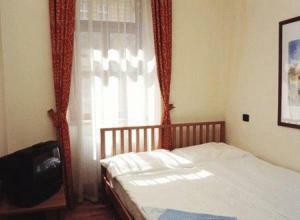 Located in Praha, it is 500 metres from Florenc Metro Station. All rooms have a small kitchenette which includes cooking utensils, cupboard space for food and a four-seater dining table. Each accommodation at Rezidence Vítkova has a comfortable living area fitted with a sofa and satellite TV. A tea / coffee maker is provided for each room. Guests can enjoy a variety of Czech dishes for buffet breakfast. Rezidence Vítkova is 3 km away from Orthodox Cathedral Of Ss Cyril and Methodius. Palladium Shopping Center is less than 20 minute drive away.